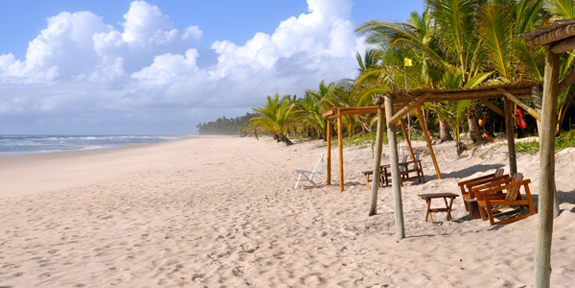 Just Back From... Bahia, Brazil (with the Kids)! The second half of our epic voyage around South America took place in Brazil. As you’d expect from the 5th largest country in the world, there’s a big choice of destinations, and as a family of 4 including a baby, we had to keep our adventures manageable. From the Iguazú/Iguassu Falls on the Argentinian border, we flew across Brazil (which took 3 flights) to its far north-eastern corner, alighting in Salvador. 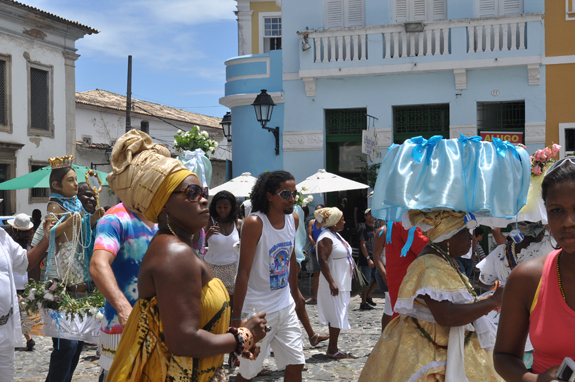 Salvador is the 3rd largest city in Brazil, state capital of tropical Bahia, and the largest African city outside Africa (a legacy of the slave trade – historians estimate that 40% of all African slaves were trafficked through here). 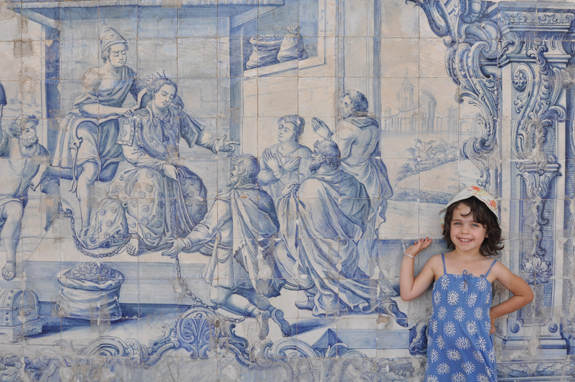 Salvador’s colourful and cobbled 18th-century centre, perched on an escarpment, is known as the Pelourinho and has held UNESCO World Heritage Site status for nearly 30 years. We were staying in the relaxed coastal suburb of Barra for its lovely beaches (it also has an iconic lighthouse), and because it’s an easy taxi ride to the historic centre. Our visit coincided with a police strike and the murder rate supposedly jumped 115%; we were blissfully unaware of this, if anything somewhat irritated by everybody from the front desk staff to the street hustler warning us to be extra careful, for no apparent reason that we could fathom. Salvador will satisfy all needs. 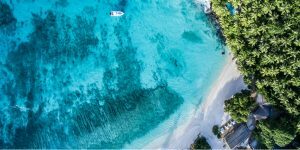 Foodies will love the Bahian cuisine, which is a fusion of European, African and Brazilian influences centred around tropical fruit, coconut, fresh seafood and spices. 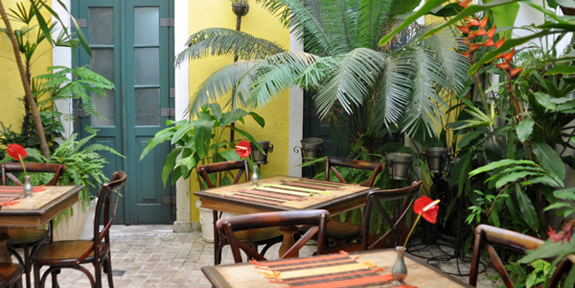 Our first introduction to the delicious moqueca seafood stew was at beautiful colonial Villa Bahia, where we had a delightful lazy luncheon. For those of a religious bent, Villa Bahia is handily sited next to the magnificently-over-the-top Igreja de São Francisco, whose tiled cloisters and gold-leafed Baroque interior pay tribute to the wealth that flowed here in the 17th and 18th centuries. We also saw an Afro-Brazilian religious procession, where drumming and chanting devotees paraded an image of their deity (many in Salvador still follow animist mythologies). 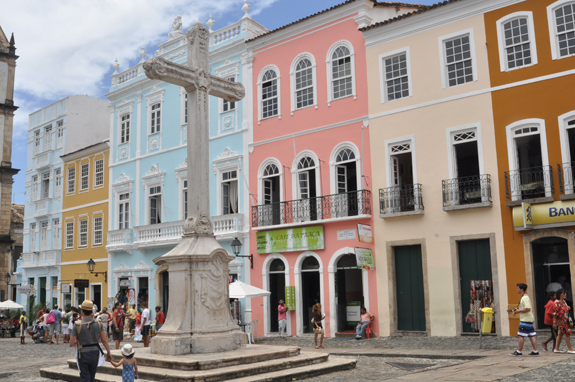 Religion also accounts for many of the pastel-hued restored buildings in the Pelourinho. Others are shops, cooking schools, restaurants and museums – we liked the fascinating Afro-Brazilian museum, which shares the old medical mchool building with the Museum of Archaeology and Ethnology. But there’s only so much history a 4 year old will suffer before rebellion, and we were soon dragged out into the bright light to see a demonstration of capoeira dancing and percussion – another living link to Africa. 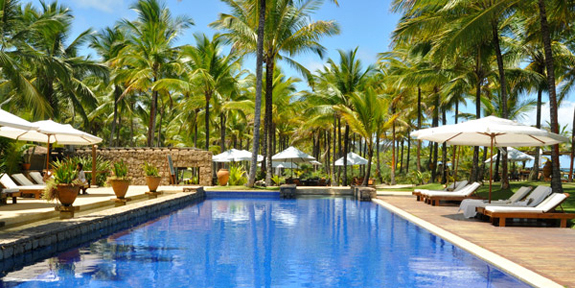 After 3 nights we flew south to Ilheus and headed on to our next destination, the totally spoiling Txai Resort – our daughter’s favourite hotel of all we visited on our trip. You can reach this laid-back but luxurious resort by road, but flying and a transfer is our recommendation – far quicker and, in fact, safer. Txai unfolds like a dream in the preserved Atlantic rainforest. 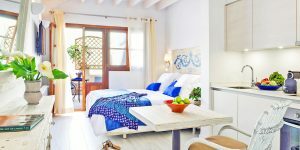 It has an enviable position on a dazzlingly white beach overlooking jade sea on the unspoilt Cacoa Coast, with no other buildings in sight. Service is charming. My husband sipped caipirinhas poolside. We saw a sinuous snake. It rained a little. We loved it. We had a large wooden bungalow with blissful muslin-draped beds and no agenda to do anything but eat well (a goal attained with extra style marks – we swooned over the coconut, pineapple and condensed milk pancakes for breakfast), swim (a choice of 3 cobalt pools, including a kids’ pool, which only hunger persuaded Esme to leave), birdwatch from our own veranda without having to move a muscle (all around were wonderful bright green parrots, bejewelled hummingbirds and majestic vultures) and relax. We didn’t even make it to the fabulous spa on the hilltop! We nearly cried when it was time to leave – Esme only persuaded to do so by hitching a ride with our luggage on the golf cart. And then we headed north to former pirate colony turned eco-surfing mecca Itacare – a favourite destination for laid-back tourists. Here we practised all that we had learned about that oh–so-enviable Bahian way of life – eating shrimp cooked in a coconut, ambling down the beach, strolling through brightly coloured streets, clambering over rock pools, watching local boys play football on the strand, chasing waves, birding at dawn in the rainforest – for 4 glorious days.